Whether you’re an established business owner looking to expand into the eCommerce market or a new fledgling business looking to create a breakout hit marketplace website, it can be difficult finding the right platform on which to base your business. The market is saturated with platforms which can make it difficult and confusing to navigate the features, benefits, and capabilities of each. However, there is a single platform that we recommend for over 90% of our customers instead of Magento, Volusion, and Shopify. That platform is WooCommerce; but you may be asking yourself, what exactly is WooCommerce, and how does it set itself apart from the many other platforms out there? WooCommerce was an eCommerce platform designed as a WordPress extension in 2011. Instead of being designed solely by programmers, WooCommerce was developed by a team of user interface web designers making the platform extremely easy to use, versatile, and guaranteed to look great. If you do choose WooCommerce as your platform of choice, there are an enormous number of benefits that can save you time, money, and effort, but among the 3 major benefits are ease of use for the user and seller, the ease of web development, and the amazing amount of support logistics that exists for WooCommerce specifically. In reference to the first main benefit, WooCommerce is extremely user friendly for the developer, the seller, and the buyer. The seller can manage their item information, inventory, sales, promotional campaigns, and more at the tip of their finger, and the logins and back-end access are extremely simple and easy for a first-time WordPress user. The user, on the other hand, experiences the benefit of a simple one-page checkout process which means less hassle and more sales for your brand and website. The ease of development comes into play during the cost of development; because WooCommerce takes half as much time to develop for, the final cost of a WooCommerce site will be lower and the end result will be produced in a quicker timeframe. In addition to being cost effective and having a faster turnaround time, future upgrades are also quicker and easier to integrate if you want more features, and the pages are extremely lightweight and load more quickly meaning higher user retention. When it comes to extensions, these are the real aspect of what makes WooCommerce such a powerful platform. 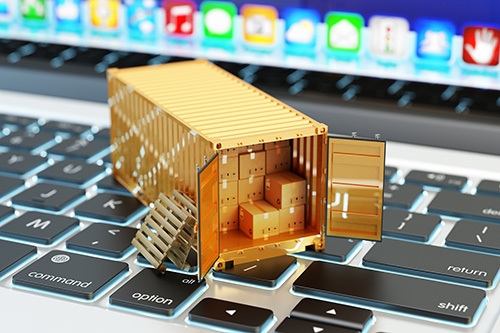 There are an astonishing number of extensions and corporate support for logistics including payment information, shipping, and promotional materials. WooCommerce has payment gateway logistic extensions for Stripe, Authorize, PayPal, and many more. Additionally, thanks to shipping logistics partners include FedEx, USPS, UPS, and DHL, shipping and tracking your products and making sure they get to the customer on-time has never been easier. WooCommerce even has plug-in support for complex custom shipping logistics such as Shipwire and Readyshipper, meaning the options for micro-management of your eCommerce platform is essentially endless. Other logistics extensions include Mailchimp and Quickbooks integration which allows you to sync promotional offers, sales, and personalized client emails directly in your backend. You may be wondering, does picking WooCommerce over other platforms affect the ultimate design of my website? For companies that use more template-based solutions this may be an issue, but at our Los Angeles eCommerce web design firm we are able to customize all pages to match the pre-approved designs that we first run by our clients allowing for full control and personalization. The only pages that may be controlled by WooCommerce presets is the checkout page, user profile panel, and order information page. Even these pages, however, can be customized to fit the overall design and aesthetic of your website. Additionally, WooCommerce featured powerful tools for customer tracking, advanced reporting, inventory management, coupons and discounts, and much much more. The amount of premium extensions that exist for the platform make the possibilities endless, and on average each extensions costs about $79 but comes bundled with support and professional-level functionality. Certain extensions are well worth the investment in our opinion, especially if they equate to higher sales, abandoned cart recovery, and more earnings. Other options include Amazon and Ebay inventory integration, so you can keep track of your stock across multiple sales platforms in an easy and painless way. Some of the nicest features in our opinion are the related products features built-in to WooCommerce that allows you to list related products on below product inner pages and up-sell the user on more merchandise. This is integral to many modern eCommerce websites and is a great way to raise sales from individual customers. More promotional features include daily deals, featured products classes, and upsells that show multiple related or unrelated on a page. Additionally, products can be designed as variable or configurable; for example, a water bottle that comes in different color or a t-shirt that comes in different sizes. This allows for easy ordering and product databases, making your life as the seller much easier. Products can also be virtual, such as a download code, gift certificate, or a downloadable product like a game or album. You can also make products external links in order to forward users to another sales platform such as eBay or Amazon while retaining all of the product data and stocking information. When compared to the wide array of eCommerce platforms on the market today, its easy to see how WooCommerce rises above the competition and why it has so much wide-spread support. The fact that so many organizations have latched onto and support WooCommerce means ease of use and savings for you, the seller, as well as the end user. That’s why we recommend WooCommerce as an ideal platform for over 90% of our clients. Contact us today to see how you can start your very own eCommerce business or migrate your site to WooCommerce and see immediate solutions and savings for your online marketplace.